This guide is aimed at (GNU/Linux) users who have installed eLabFTW the old school way (git clone or zip archive) and want to benefit from Docker. 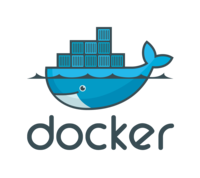 If you are not familiar with Docker, take the time to read the documentation on the Docker website. And read also the in-depth documentation for eLabFTW with Docker. We will obviously need to install Docker. If everything works, you should see a little message explaining what Docker did to print this message. Follow the steps described here, except the last one. Do not start the containers. Before going further, make sure you have backups of the existing installation. Read how to backup here. You should have a dump.sql file of the elabftw database. And your uploads folder is copied somewhere safe. You now have a configuration file /etc/elabftw.yml . Edit it with your favorite editor. If your webserver (Apache, nginx) is only serving eLabFTW, turn it off now and also make sure it won’t start after reboot. If you are using your webserver for something else, change the “ports:” value from “443:443” to “8080:443” or “444:443” or “9000:443” because your current server is already using port 443. Now, either you open a port on your server’s firewall to accept traffic on the new port you set, or you might also want to use your current webserver as a proxy and forward packets to the docker container: see documentation for unusual setups. If you are running MySQL 5.5 or 5.6, edit the 5.7 in the image: mysql:5.7 line to the appropriate version. You can upgrade later. As you know, eLabFTW can only run with HTTPS. So if you were running it before, there are good chances that you already have a certificate. If it’s a self-signed one, nothing needs to be done. The Docker image will generate a new certificate when the container is created. But your users will get a warning when they access the website, which is not ideal. One solution to this is to request a certificate from Let’s Encrypt. It’s free and you get a real proper certificate. See the documentation on Let’s Encrypt website on how to request a certificate for your website. You will need to have a domain name pointing to the server. It doesn’t work if you only have an IP address or if the server is not accessible from outside a company’s network. Another solution is to use the certificate you already have. Another way to do this is to git clone the docker-elabftw repo and edit the src/run.sh script to point to the correct directory, but this will not be covered in this guide. This will create an empty database in /var/elabftw/mysql . But of course, what we want is to have our old database in there! To do that we will copy our dump.sql file to the mysql container and import it in place of the freshly created database (which is empty!). You should now have your old database running. If you were upgrading from an old version, make sure to read the release note of each version. Specifically the 1.2.1 one where there is a manual step to copy the new SECRET_KEY to /etc/elabftw.yml . Test everything is working by clicking everything. Report any problem in the present documentation so it can be improved. © Copyright 2012, Nicolas CARPi.